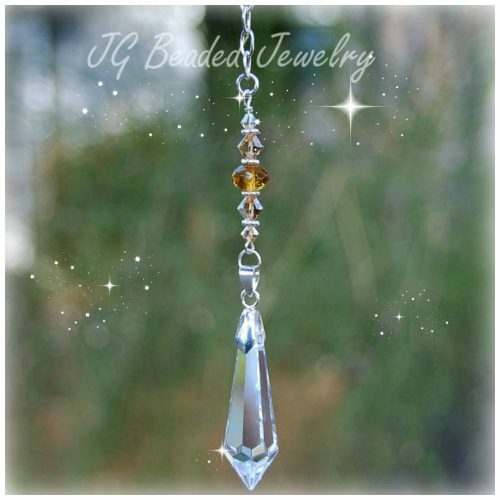 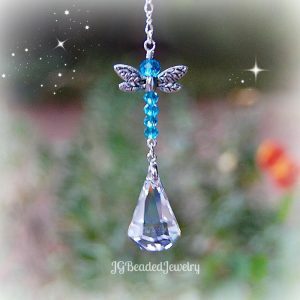 This golden topaz crystal suncatcher is handcrafted, unique and quality made. 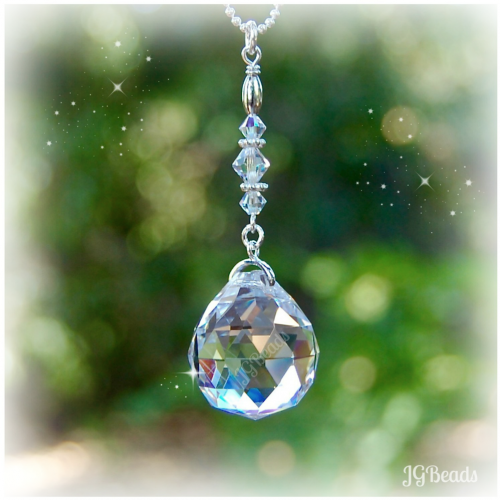 You can use it as a light pull, fan pull, window crystal or rearview mirror decoration! This crystal decoration is uniquely designed with a 30mm light golden colored prism crystal. 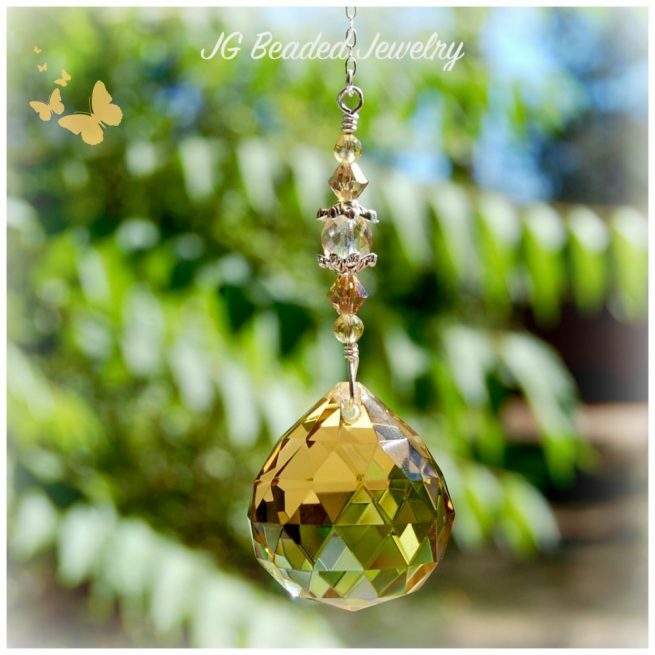 It is wire wrapped for strength and quality made with silver wire and embellished with flawless and beautiful topaz Swarovski crystals, golden topaz beads, and fancy silver metal beads. 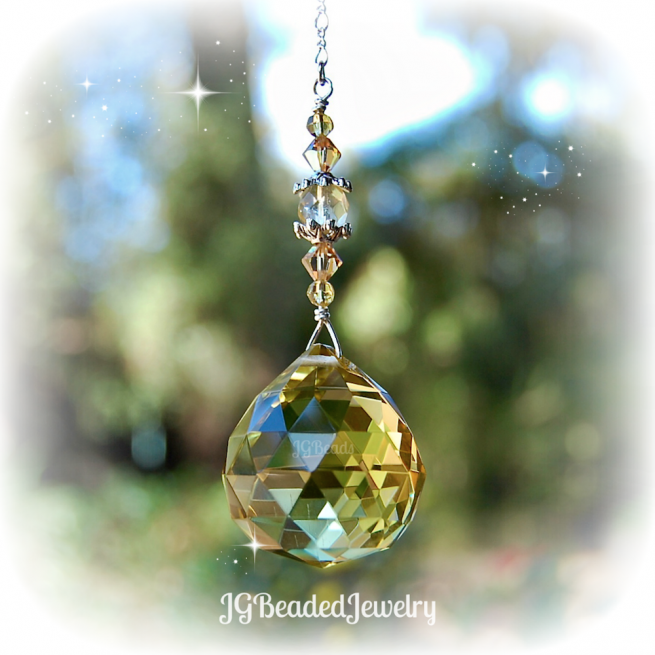 ♥ Topaz is the birthstone for November – this is not the actual topaz gemstone, but a nice substitution!